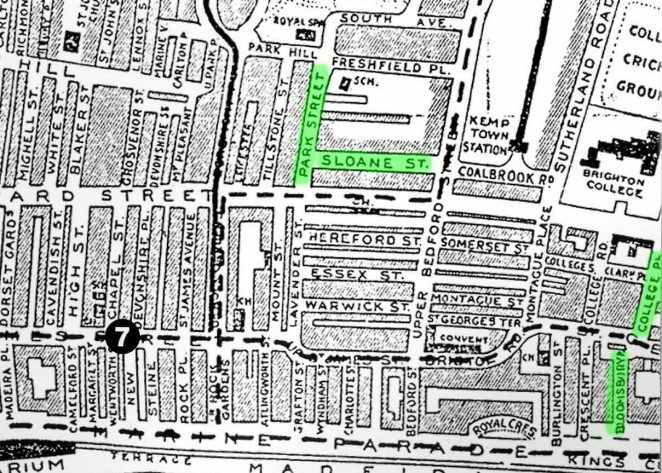 I was born in August 1920 at 17, Sloane Street, Kemp Town. The houses in that area are long since gone and were replaced by flats. 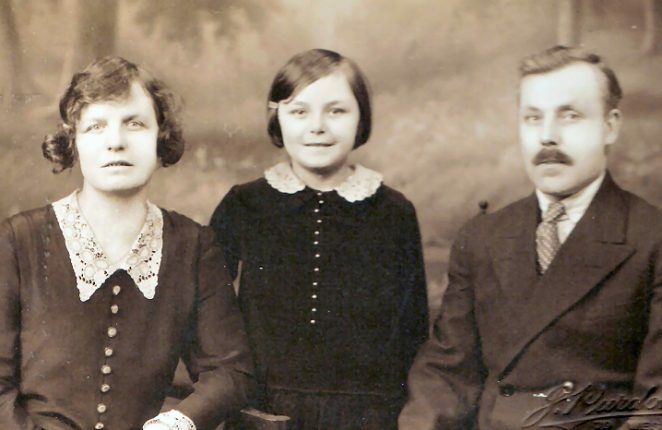 My mother was Rose Olliver and my father was Thomas Olliver. 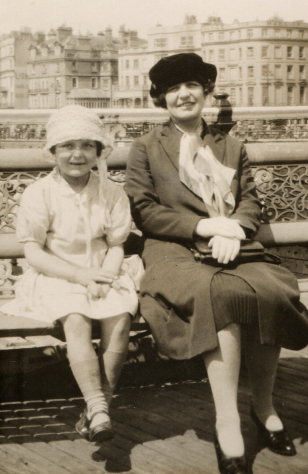 My mother had a twin sister called Lily, who married my father’s brother Allen, so we were all Ollivers. We all got on so well and were so close, that we lived together in the same house, having a floor each. My father, together with his brothers Allen and George, worked with their father, also called Allen, at Olliver & Sons, a painting and decorating business. This carried on for many years, in fact my father and his brother Allen continued running the business until they retired. 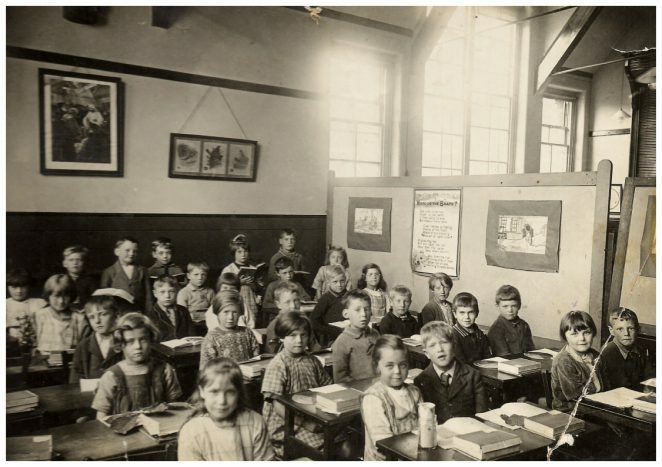 In 1925, at five years old, I started at Park Street School. I cried bitterly the first day because I hated my mother leaving me, but I soon settled down. One of my most abiding memories is of the little beds in our school room. Every afternoon all the children had a little nap – imagine asking children to do that nowadays? When I was about seven years old our families moved to College Place, Kemp Town. My new school was a junior mixed called St. Mary’s, which was in St Mary’s Place, and very close to home; I had very happy times there. I also remember that I joined a dancing class at that time. Opposite where I lived was Bloomsbury Street which had a little ‘cut’ at the end. To us it looked like a stage, and my friends and I would do ‘pretend’ dancing shows there. College Place, because of its proximity to the seafront, was a wonderful place for a child to live. My friends and I would spend hours bathing, swimming and playing at the beach. Of course in those days it was thought perfectly normal for children to do this; how different it is today. One of our other favourite pastimes was to walk down to the promenade and watch a concert party. At eleven years of age I went back to Park Street School, but this time to the Seniors department. We moved about that time to Cuthbert Road where I made lots of new friends. I remember Eva Bull and her brother Frank, Frank and Leslie Nye, Jackie Dorrington, the Hawketts family, and many others. My best pal was Eva Bull, we started together at the infant school and are still in touch, eighty five years later.